Growers seem to be doing a good job of waiting for seed colour change before swathing. 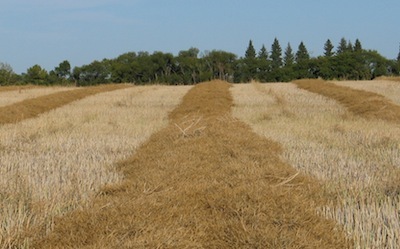 This is good for overall yield potential, and waiting to swath can reduce green counts — especially if swathing in hot temperatures. For growers straight combining canola for the first time, note that canola can look green even when it’s ready to combine. A key with straight combining is to go as soon as all seeds are ripe. This can mean a slower combining pace if stems are still somewhat green. 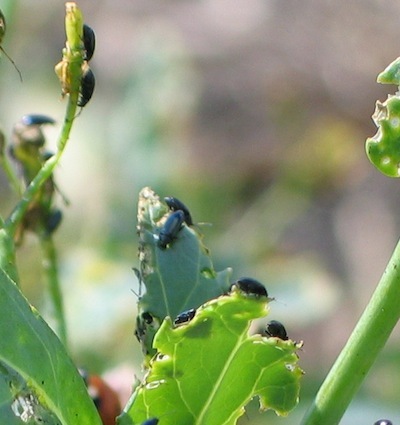 Late season flea beetles are being found in many parts of the Prairies. They are no threat to this year’s crop, unless numbers are close to 100 per plant and feeding on pods is evident. However, these numbers can hint at a possible increased threat next spring. Combining is in full swing in some regions. Canola combined hot can take a long time to cool, and can be at risk. Aerate it immediately to cool it down, even if it’s dry. 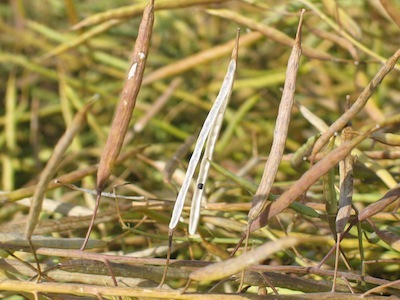 Sclerotinia stem rot infection is being found lower down the plant in many fields this year. 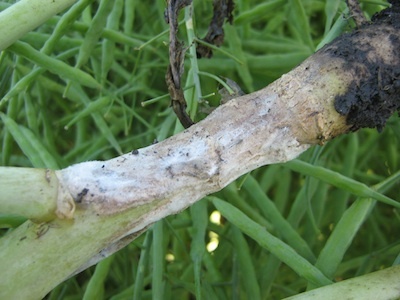 Some fields are lodging because of sclerotinia infection. 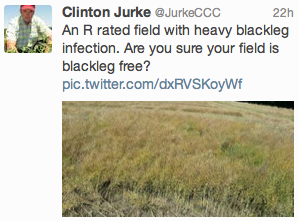 In some cases, sclerotinia infection is right near ground level, which is where blackleg is also found. How much seed will you need for 2014? Harvest plant counts can help growers determine if their seeding was adequate to reach the crop’s yield potential. 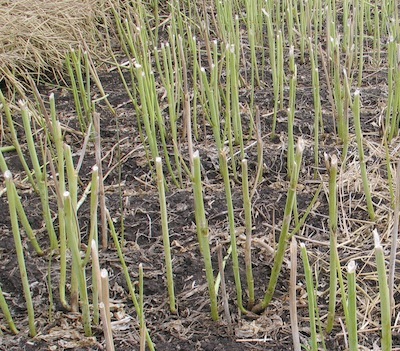 A compilation of stand establishment research shows that canola generally needs at least 4-5 plants per square foot to reach its yield potential. But is this true for all varieties, all crop inputs packages, and all growing conditions? We don’t know. Growers can start to figure out their own ideal target plant stand by collecting a few years’ worth of plant stand data cross referenced with yield. 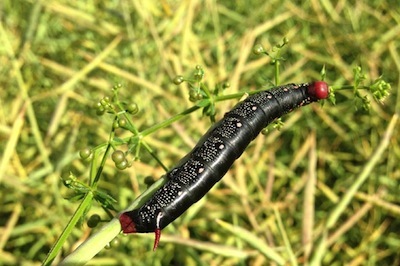 Growers are still seeing some insects in their canola crops, including a higher than normal presence of flea beetles. Answers to the following three questions may help with management decisions. If late season hail damages pods, then these pods have a higher potential for shattering as they dry. Swathing early to save these pods may not be worthwhile if these pods represent only a small percentage of the yield potential of the crop. Canola binned hot, even if it has low moisture, low dockage and low green, should still be put on aeration. This will even out the temperature throughout the bin, and help remove some of the moisture from respiring seed. Even at low moisture, air movements within the bin could concentrate this moisture.